IT’S not something the creators of the world’s first artificial beef burger need to worry about. But it’s certainly something that Scotch Beef producers need to ensure they get right. In the week that has witnessed the unveiling of the most expensive burger on earth – made from 20,000 tiny strands grown in a lab from a cow’s stem cells – beef farmers are facing up to something entirely less glamorous, but arguably just as controversial. At a Cross Compliance livestock stakeholders meeting on Wednesday those present were given details of common faults found at inspections relating to tagging, records, notifications and passports. 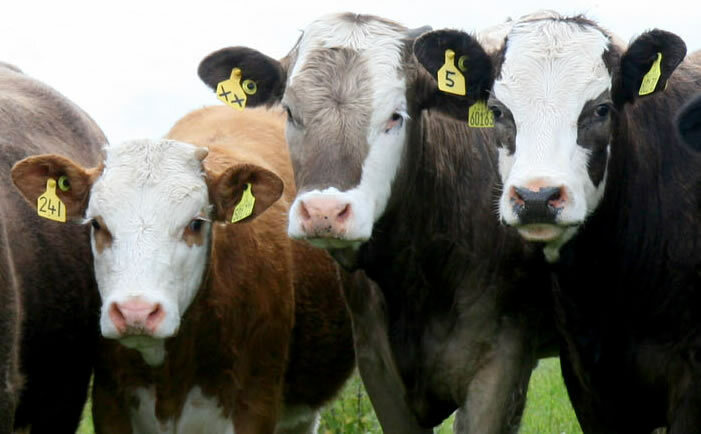 Following the meeting the Scottish Beef Association has hit out at the different rates of ear tag losses that trigger a penalty between cattle and sheep. The SBA has pinpointed the most significant change to cattle tag inspections this winter as being the immediate penalties that could be applied for missing tags. A score of 0.1 for cattle with one lost tag but which is still identifiable and 0.3 for cattle with both tags missing will replace the current scoring of 0.4 and 1.0 for the respective scenarios. However at present you get 28 days to order and replace. This will mean that anyone with more than 20 cattle missing one tag will be faced with a 3% SFP penalty. These immediate penalties have clear financial implications for producers. It has been confirmed that when missing ear tags are discovered during an inspection, the inspector will carry out background checks on the farmer’s replacement tag orders in the previous 12 months; question the farmer on his replacement tagging system and any reasons ear tags are missing; for cattle missing two ear tags, carry out additional checks to confirm whether the farmer has re-ordered ear tags prior to the notification of the inspection; the inspector will then make a decision on whether the level of ear tag loss, lack of replacement tagging system and failure to reorder two ear tags will lead to a sanction. The Association has meanwhile offered its support to a pilot project aimed at preventing and controlling liver fluke. The Scottish Government-backed project will see experts from Scotland’s Rural College and Moredun test different ways of tackling the disease at a farm in Fife. Results from the project will then be passed to farmers and vets across the country.